Exclusive £15 John Lewis Gift Card with Home Building Premier Policies at John Lewis Home Insurance Get a £15 digital gift with Home Building Premier Policies at John Lewis Home Insurance. Once your purchase has been verified we’ll email you how to claim. Exclusive £15 John Lewis Gift Card with Home Content Premier Policies at John Lewis Home Insurance Get a £15 digital gift with Home Content Premier Policies at John Lewis Home Insurance. Once your purchase has been verified we’ll email you how to claim. Full Accidental Damage Cover with Premier Policies at John Lewis Home Insurance Get the highest level of protection against accidental damage with John Lewis Home Insurance Premier Policies. Up to £500 Lock and Keys Cover with Selected Policies at John Lewis Home Insurance Stay safe if you lose your keys with up to £500 to cover key and lock replacement with John Lewis Home Insurance. Unlimited Alternative Accommodation Cover with Selected Policies at John Lewis Home Insurance Keep a roof over your head when you need it most with unlimited alternative accommodation cover. Up to £2,500 Personal Possessions Cover with Premier Policy at John Lewis Home Insurance Keep your prized possessions protected with up to £2,500 worth of cover with John Lewis Home Insurance. Each with brilliant benefits and perks, so you will be sure to find a level of cover to suit your needs. With John Lewis Finance, you'll get a smashing deal on comprehensive protection for everything that is a part of your day-to-day life. With buildings and contents cover plus valuables and alternative accommodation included on different levels as standard in all 3 policies - it is then up to you to add optional extras such as personal possession protection, garden cover, pedal cycles cover and more. Whatever lifestyle you lead, John Lewis Finance understands how flexibility to Home Insurance is key and now you can experience reliable cover to keep you and your home safe against all odds. How do I use my John Lewis Home Insurance promotional code? If you do not have a promo code then your discounts will be applied at the checkout so you can continue to complete your order. To avoid mishaps and home accidents with younger ones, take a look at Keeping children safe in the home, so as you can reduce their risk of an accident at home and your risk of a claim. To make a claim, call 0330 102 2749 between 8 am and 8 pm Mon–Fri, 9 am and 5 pm Sat. What should I do in a home emergency? If you cover has a Home Emergency Service included then you can call 0330 102 2750 in the event of an emergency, 24 hours a day, 7 days a week. Can I get Student Cover as part of my home insurance? Student cover is optional on all three types of cover should you wish to include it in your home insurance. What is the maximum amount of bedrooms that can be covered? With John Lewis Home Insurance, up to 6 bedrooms can be covered. Should you have more (lucky), you would be more suited to the Specialist Home Insurance cover. If you cancel your policy within the first 14-days of receiving your policy documents, you'll be refunded provided that you haven't made a claim. Check the Terms and Conditions for full details. You can get in touch with John Lewis Home Insurance through their claims helpline on 0330 102 2749. The helpline is open from 8am - 8pm, Monday -; Friday, 9am - 5pm on Saturdays and closed Sundays. John Lewis Finance provides a simple and flexible way of keeping your home and its contents covered. By selecting only the best range of services, now you can protect the things that matter the most. With a John Lewis Insurance Home promo code, you’ll be able to save money on a plan that covers everything you need it to. With 3 flexible insurance plans available for you to choose from - your home will be in safe hands with John Lewis Finance. 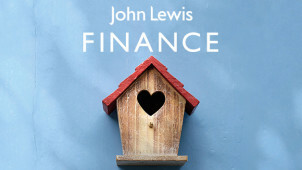 No home is too tricky or picky to insure with John Lewis Finance. With the John Lewis specialist Home Insurance you can get cover for additional homes, holiday homes (in the UK & abroad) as well as on buy-to-let properties. If you have a thatched or flat roof - no bother - with this reliable option, all of your personal belongings will be safely protected wherever you may be in the world. With accidental cover for your buildings and contents too, your home security starts here. We wouldn't be without the Essential Cover package from John Lewis Home Insurance. With great cover to get you started, this is ideal to add any extras on that you may need, so that you can really personalise the service to your lifestyle. With a John Lewis Home Insurance discount code you can save on protecting your home and its contents. From DIY mishaps to furniture damage and more - we are a little prone to being clumsy - which is when the Accidental Damage Cover add on comes in very handy!